When you’re struggling, do you treat yourself as well as you’d treat a friend? If not, what would it take to give yourself the same caring attention? An empirically-supported course taught in 20+ countries, MSC shares powerful tools for healing, building inner strength, and increasing confidence and self-respect. Learn to motivate yourself with encouragement instead of criticism, cope with emotional challenges, cultivate more compassionate self-talk, and consciously savor the good moments in your life. Martha Tyler, BSN, MPH (mbrillharttyler@gmail.com ), is a registered nurse, licensed massage therapist, and holds a Master’s Degree in public health. Her passion for promoting health and wellness, combined with a strong interest in anatomy, physiology, body movement and the power of touch, led her to open Still Point Massage Therapy, LLC. 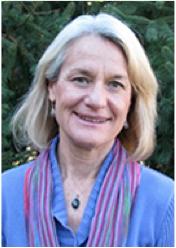 Martha is a certified Let Your Yoga Dance instructor (Kripalu Center for Yoga and Health), a certified Integral Hatha Yoga teacher and has completed Mindful Self Compassion teacher training through UCSD. She is a certified Mindfulness Meditation teacher through the Chrysalis Institute and currently serves on its board. FINANCIAL ASSISTANCE IS AVAILABLE! Please email Executive Director Rachel Douglas at rachel@chrysalisinstitute.org for details.